Cheap Mountain Bikes Deals - Off-road MTB riding for less! 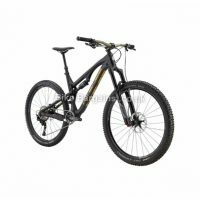 This section is chock full of handpicked cheap Mountain Bikes Deals – ideal for both beginner trail riders and established offroaders alike. 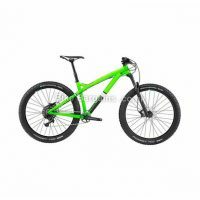 The bikes below vary from lightweight XC (cross country) to burly downhill rigs, with many variations inbetween, so hopefully you’ll find a ride to suit your style of riding. I’ve specified sizes, materials and colours on this page, and further details on the specification can be found on the corresponding product page. 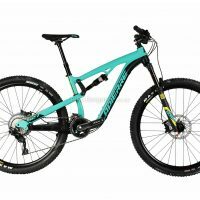 This section is updated daily with both hardtail & full suspension bikes, listed with the biggest discounts first, so please feel free to bookmark if you have a specific MTB in mind, and hopefully you’ll make a substantial saving. Oh, and if tarmac is more your thing, check out my road bikes instead. 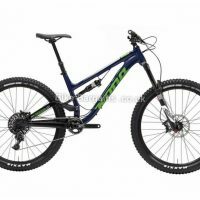 Search for a Mountain Bike - select your Size(s) and click Search! Whether you're looking to get into off-roading for the first time, or a seasoned rider after a shiny new steed, buying a bike online can represent a challenge. The main advantage of purchasing online is the savings - larger retailers buy in bulk at cheaper rates, and so can typically offer larger discounts than your average local bike shop. 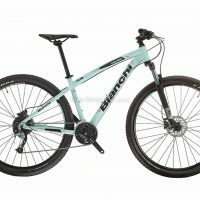 However you may not get the same level of customer service, nor be able to test ride the bike prior to buying. Online bike buying is not for everyone; many like to help their local shop rather than spend their hard earned cash at a large faceless chain. If that's the case, then pop into your local friendly bike shop(s) - many offer loyalty discounts for local riders and clubs. 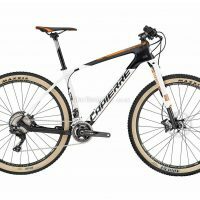 However if you have decided that online is the way forward, below are a few tips helping to ensure the bike is suitable for both you, and the riding you intend to do. 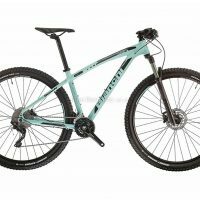 Budget - how much do you wish to spend? Set a realistic budget that you can afford, and try to stick to it. 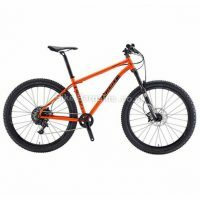 Bear in mind that if you are new to cycling you may need kit, such as a helmet, shoes and clothing as well, so factor that in. Pedals often need to be bought separately too. 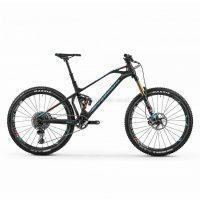 Please don't overstretch yourself, as whilst Mountain Bikes are fun to ride, they aren't going to hold their value, and even if they're hardly used then you're unlikely to sell them for what you paid for them if you run into financial difficulty. Are you a skinny XC whippet, an all rounder, a downhiller or even a trials rider? 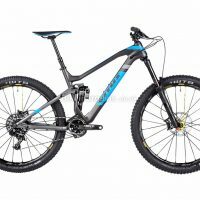 Each sub discipline of mountain biking requires a very different bike, all of which excel at their designated purpose, but can hold you back in other areas. It's highly unlikely anyone would ever win an XC race on a Downhill bike, or vice versa. 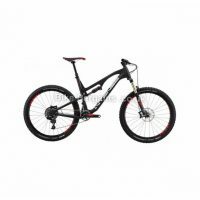 Downhill bikes are overbuilt for strength, and subsequently are too heavy to be effectively ridden uphill fast. However, the components used on lightweight XC bikes typically aren't designed to be thrown off big jumps and drop offs, and doing so may result in breakage and serious injury. 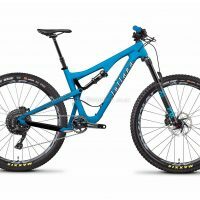 There are many all rounder bikes situated between these two extremes, but it's worth taking some time to ensure that whatever bike you purchase will be suitable for the riding you'll be doing most. 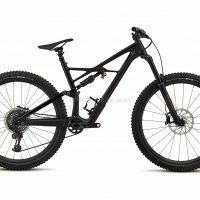 Generally speaking, the taller you are, and the longer your legs, the larger the bike you'll need. 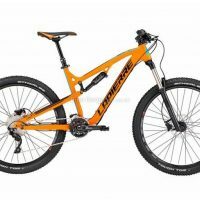 Bikes are measured from the bottom bracket (the sideways tube in the middle of the bike that runs at 90 degrees from the rest of the frame) up to either the crossbar, or the top of the seat tube (where the seatpost goes into). Some measurements are given as centre to centre (from the centre of the bottom bracket to the centre of the crossbar) or centre to top (the same but to the top of the cross bar). As frames increase in size, the top tube length will increase too, as tall riders with long legs tend to have longer upper bodies than shorter riders. 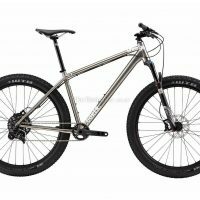 This top tube length is very important, as you can't effectively adjust it much by buying new components without ruining the bike's handling. 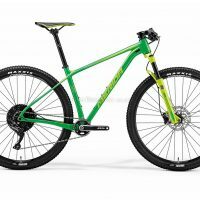 A setback seatpost and longer stem can help to a degree, but apart from that you're stuck with whatever length you chose. 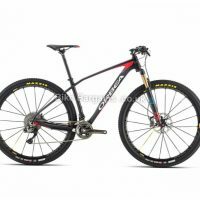 Another criteria to bear in mind is your weight - superlight cross country (XC) mountain bikes do have upper rider weight limits, as carbon and alloy components will be more prone to snapping under the forces generated by heavier riders. 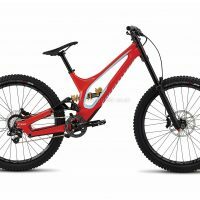 Please take note of these guidelines, as a snapped seatpost can result in serious injury. Most retailers will feature a size guide on the bike's listing page, complete with recommendations based upon your inside leg and/or height and weight. Sizes differ between manufacturers, so please don't assume that a size Small for one brand will be the same for another. Do you ride on the road? Plenty of riders enjoy both disciplines, but you need to bear in mind that your perfect road bike size will be radically different from your ideal mountain bike frame size. This is due to the fact that you will need to shift your body weight around more whilst mountain biking when compared to road cycling. Although modern inventions such as dropper seatposts help somewhat, you'll need more clearance between the top of your inside leg and the crossbar if you wish to be able to manoeuvre effectively when negotiating challenging terrain. However, too small a frame will result in you requiring an extra long seatpost, and feeling cramped by the close proximity of the handlebar and stem. 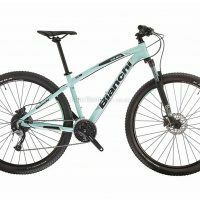 If possible, borrow a bike from a friend to see what seems best for you. 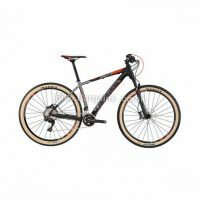 If not, some bike shops will offer a professional measuring service for a fixed fee, although it might be worth mentioning prior to this service that you are not interested in buying a bike from them to avoid upsetting anyone. 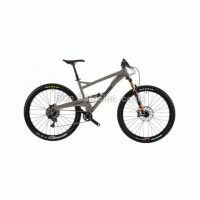 Carbon and alloy are your main choices here, with a handful of steel and titanium bikes being produced for those who fancy something different. Carbon is very stiff and incredibly lightweight, but also more expensive and slightly more prone to damage than aluminium. 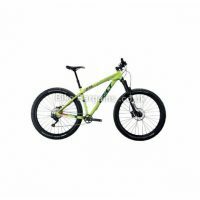 Alloy framed bikes are typically cheaper yet offer a decent performance to cost ratio. 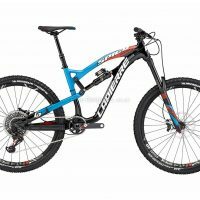 Ideally it is better to buy a bike with a slightly better frame and worse components than vice versa, as it's easier for future upgrades. If you can test ride a bike prior to buying, then this will stand you in good stead. 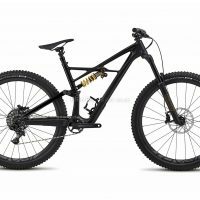 Full Suspension, as the name suggests, features suspension at the front and rear of the bike to help soak up the bumps. 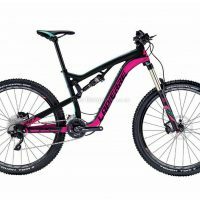 Hardtails feature a rigid frame, usually paired with a suspension fork. Both have advantages - typically a FS Bike will be quicker downhill and more comfortable to ride, but will also be heavier, require more maintenance and usually be slower at climbing. 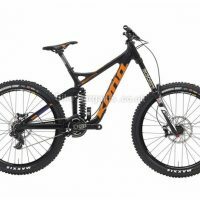 You have three main options in wheel size, with the older traditional 26 inch hoops slowly being phased out in favour of 27.5 (650b) or 29 inch - these larger wheel circumferences roll faster, but are slightly slower to accelerate. If you like to run large tyres (2.4 inch upwards) then check that there's enough clearance within the frame and fork, else you'll be stuck using skinnier tyres. This refers to the gears and brakes of a bike. The choice here is usually between Shimano and SRAM, with occasional own brand chainsets thrown in. Even the lower ranges of Shimano and SRAM drivetrains tend to be high performing, but it's worth checking how many gears (or speed) the bike is, as modern Mountain Bikes will be either single, double or triple chainrings at the front, paired with an 8, 9, 10 or 11 speed cassette at the rear. 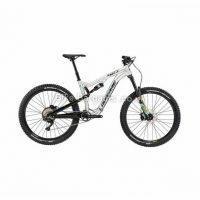 The majority of mountain bikes will come with hydraulic disc brakes, with some cheaper models having cable operated versions. The lowest priced bikes may feature basic V brakes instead, and if this is the case then ensure that the frame and fork have disc tabs, so that you can potentially upgrade to disc brakes in the future. The majority of modern Mountain Bikes will feature suspension forks, of varying quality and travel. Travel is the total distance that the fork can compress, with longer travel forks more suited for downhill, and shorter typically being designed for cross country. As longer forks are designed for heavier riding, they will be built stronger than the shorter equivalent, and so be heavier. 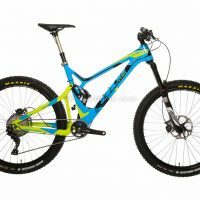 Most modern air forks can be adjusted for your weight, although you may need to purchase an additional shock pump to do this. Finishing kit such as stems, handlebars and seatposts will typically be own brand alloy components on lower end bikes, but please note that for the majority of new bikes you'll need to buy your own pedals. Read reviews - this is very important. 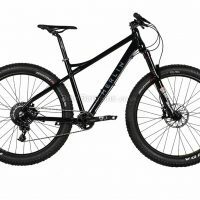 Read professional reviews from respected Mountain Bike magazines. Check forum posts to see what certain retailer's and manufacturer's after sales support is like. Some bikes may be heavily reduced as the original manufacturer has gone bust. 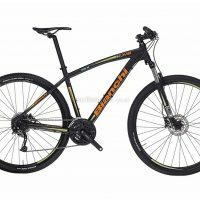 Parts may break and frames may snap; you don't want to be left out of pocket if your bike fails during reasonable usage, so ensure you have a safety net. 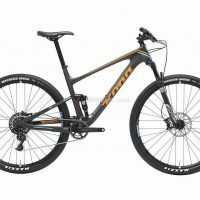 Similarly view YouTube videos on your bike, and find out how it performs in the real world, ideally in similar conditions to those that you plan to ride in. Many of the biggest retailers will have a "reviews" section at the bottom of the product's page to give you an indication of performance, but bear in mind these may be moderated. It's worth doing the research, simply due to the hundreds if not thousands of pounds you will be spending. Generally speaking ignore any reviews on unfamiliar websites that don't contain any original photos or in-depth specific content, as they may be fake. Your employer may offer a cycle to work scheme which can help save you money off a new bike. You might be able to find a discount code for some online retailers, or cashback via Quidco, TopCashback or similar. Buying a previous year's model, or during an annual sale such as Black Friday, Boxing Day or New Years Day can save you hundreds. 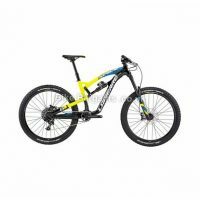 Shop around, and double check that your chosen retailer is the cheapest option - however bear in mind that not all retailers offer free delivery for bikes. New isn't always the way to go, cycling isn't for everyone, and so you can often pick up "as new" bikes at bargain prices. Gumtree, facebook groups, cycling forums, PinkBike.com and eBay are popular choices - please try and meet in person or pay via a method that you can cancel the payment if the bike doesn't arrive, to avoid being scammed. 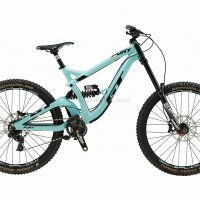 Try and get proof of ownership to avoid buying a stolen bike, as not only is it morally wrong, but you could lose your new bike if the original owner tracks it down and reclaims it. Whilst I've tried to cover everything here, others have written extensively on the subject and will no doubt educate you further. Bike Exchange has an article here, as does Wiggle.